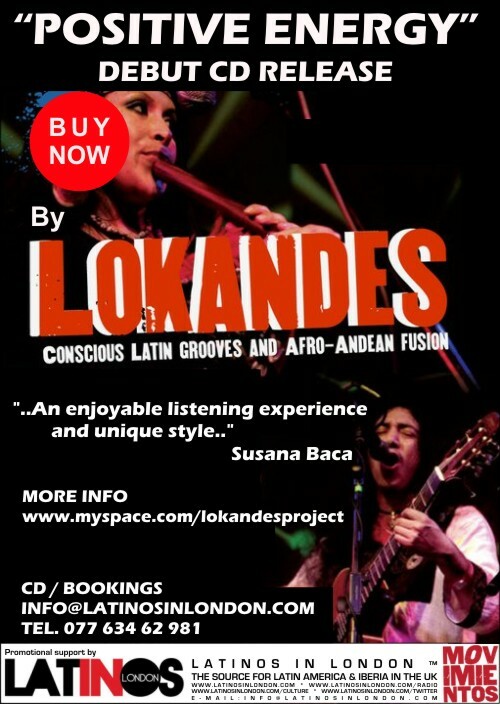 Aracataca is proud to launch PERUVIAN GROOVE! A night with LIVE MUSIC and delicious food &amp; drink showcasing Peru’s diverse culture. From mystical Andean Huaynos to vibrant Afro-Peruvian Festejos and Bohemian Barranco’s musical scene, we will be showcasing it all at our Peruvian Groove nights. Band: Barrio Nuevo ft. Kanti Quena, Kieffer Santander, Yuri Betancourt, Phaxsi Coca and more TBA. Also available will be Barsol Pisco, the ultimate premium Peruvian Pisco. A deliciously fragrant spirit made from Grapes. Entry is £3 or FREE if you decide to dine with us and try a delicious Peruvian ceviche or a savoury Lomo Saltado.